Singapore is undoubtedly one of the most visited cities amongst tourists from all across the globe. If you want to experience the best of this country, then opt for meticulously-planned Singapore holiday packages by Indian Holiday. Extremely popular for its tourist attractions and nightlife, this beautiful city is also quite technologically advanced. In this ‘Little Red Dot’ of Asia, you have so much to explore. During your Singapore trip, you get a chance to absorb a culture that is an assortment of Malay, Chinese and Indian influences. Indulge in shopping at the popular markets and gorge on lip-smacking cuisines in due course of your memorable vacations. Although small in size, this island-city has a lot in store for avid travelers. The gift of a family holiday in Singapore is unforgettable thrill. In addition, it is also a wonderful honeymoon destination. For this reason, newly-wedded couple love to book Singapore tour with a cruise to curate memories for a lifetime. The ‘Garden City’ offers delightful opportunities to walk hand in hand through a plethora of lush gardens here. With this sojourn, honeymooners can realize their dream of eclectic holidays. The Singapore tour packages offered cater to all the needs of the travelers wishing to visit the destination. Owing to a number of attractions and recreational activities, the city keeps visitors on toes. Thus, in order to explore so many places in the best possible way, these well-planned packages may come to your assistance. Choose the best and leave the rest to us. We guarantee you an amazing Singapore vacation. Needless to say that the cultural diversity of the place is reflected in its major festivals and extensive ethnic cuisines. Thus, it is a great idea to plan your trip during any of the major festival here. To explore the heritage of the island city, do visit the Botanical Garden which is the first UNESCO World Heritage Site here. 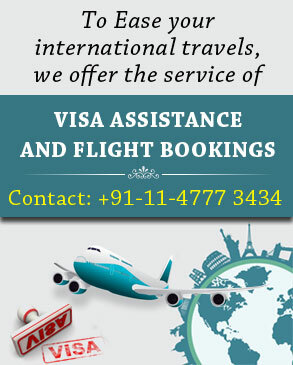 Besides, Singapore packages from India consist of comprehensive itineraries covering the famous attractions namely the Merlion Park, Marina Bay, Universal Studios, etc. Taking care of all your travel needs, these packages provide an ample of opportunities to make the most of your Singapore holidays.